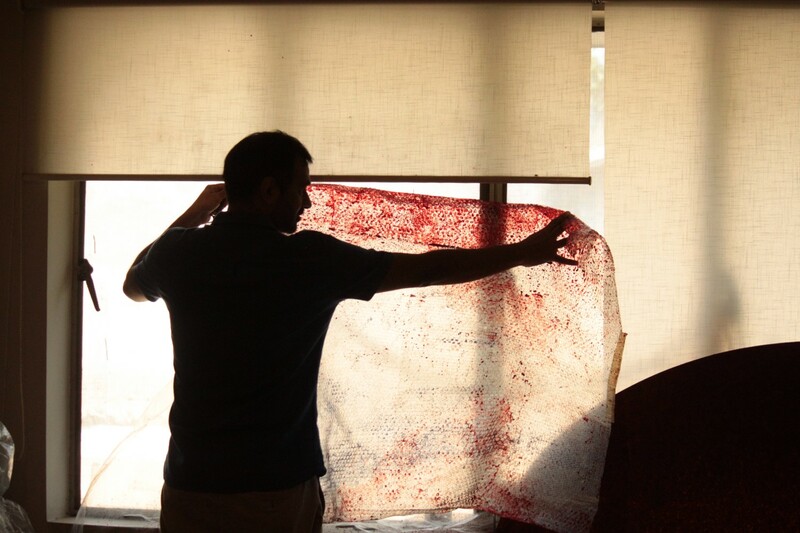 Continue reading "Muhammad Imran Qureshi"
While my friends were captivated by the magic of Bollywood on the silver screen. I suddenly found myself torn between the spectacle of the film and my father’s telephone call from Hyderabad, Sindh to me in Lahore, before I was to travel to India on a study trip of Rational College of Arts. in 1992. I was a 3rd year student at that time. My father. 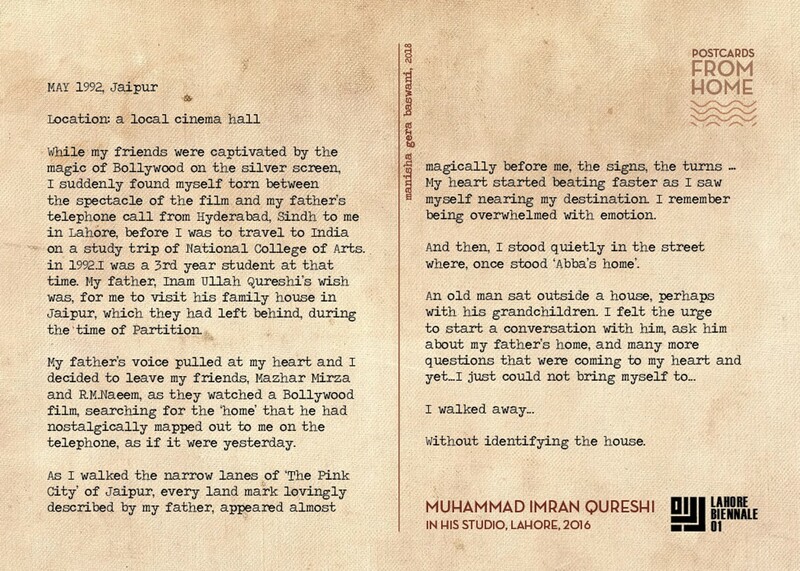 Inam Ullah Qureshi’s wish was, for me to visit his family house in Jaipur, which they had left behind, during the time of Partition. My father’s voice pulled at my heart and I decided to leave my friends, Mazhar Mirza and R.M.Naeem, as they watched a Bollywood film, searching for the ‘home’ that he had nostalgically mapped out to me on the telephone, as if it were yesterday. As I walked the narrow lanes of ‘The Pink City’ of Jaipur, every land mark lovingly described by my father, appeared almost magically before me, the signs, the turns My heart started beating faster as I saw myself nearing my destination. I remember being overwhelmed with emotion. And then, I stood quietly in the street where, once stood ‘Abba’s home’.